Advanced Technical Sales. Manufactures Sales Representative & Technical Consultants, Specializing in EMC/EMI & RF Testing equipment - Anechoic chamber - Shielded rooms - Materials & much more. 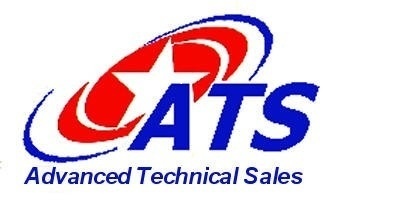 Advanced Technical Sales offers engineering sales and technical support for all the products and services that we represent. ATS was established in 1979 and has developed a large loyal customer base due to providing excellent products and services. We have become known for our integrity and tenacity in serving our customers and principals, from the design stage to the after delivery customer service. We have made it a policy to support the customer either through our products or services or referring to an appropriate source if we can’t meet their requirements. We are active members of the IEEE Organization and our people often serve as committee members for the national symposiums in order to support the efforts of the engineering community. We are also members of MANA and follow the ethics and guidelines of this organization that sets the standards in our industry for quality representation. Manufacture of Anechoic absorbers and Ferrite tiles. Manufactures of Electronic Connectors, Socket and Cable Assemblies located in Huntington Beach California. Fast quotes & reliable service and quick delivery on most types of D-Subs, Backplane connectors, Terminal Blocks, I/O connectors, IC Sockets, Modular Jacks & Plugs and Memory connectors. Leading distributor of advanced EMC/RFI measurement instruments test systems offering complete turnkey testing solutions. President of Sales & Marketing. Inside & Outside Sales Rep.